Our 2014 5-City 5-Alarm Chili-Cook-Off Was Another HUGE Success! Thank you to our sponsors as well as to the fire department staff from all five communities for your support! Audience Choice Award: Mayfield Heights Fire Department with “Willie’s Chili”, which also won last year. Judges’ Choice Award: South Euclid Fire Department with their chili titled, “The Trophy Taker”, which did take the trophy from the Mayfield Heights Fire Department who also won this category last year! 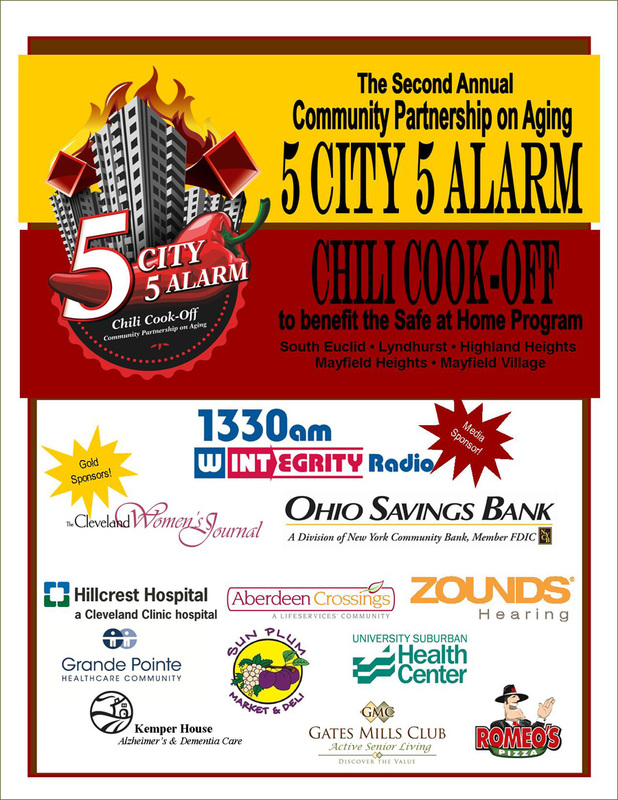 Emceed by staff from WINT 1330AM over 200 guests joined together at Highland Heights Community Center on November 1st 2014 to sample chili prepared by fire department staff and have fun raising money for the Safe at Home Program.